Shelf Pleasure. 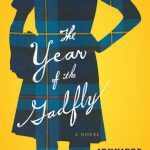 Book recommendations for women who love to read and want to share their great (and not-so-great) finds. Packed with fun and informative articles about books and authors, Shelf Pleasure is a go-to source for the latest book news and trends. This dynamic online community features open forums, a book club, and a place to connect with your favorite authors through interviews and live chats. Come join us and share your book recommendations with other women. From Judy Blume favorites Just as Long as We’re Together and Starring Sally J. Freedman as Herself to every Nancy Drew mystery she could find, Kristen always had her nose in a book. She’ll try almost any author once but loves mysteries and thrillers most of all, including from authors like Laura Lippman, Gillian Flynn, and Lisa Unger. Kristen now works as a freelance book editor in Los Angeles after more than a decade working as an editor at various book publishers in New York. You can learn more about Kristen on her personal website. An early passion for The Babysitters Club and those irrepressible Wakefield Twins of the Sweet Valley High series ensured a lifelong love of reading. Today, Stacy’s tastes range from the epic historical sagas of Ken Follett and Phillippa Gregory to the acerbic wit of David Sedaris to the fabulous fiction of Marian Keyes, Jane Green, and Sophie Kinsella. When she’s not absorbed in a book, Stacy can be found working as a writer/editor at a nonprofit health organization or freelance copywriting for various consumer clients.